Bags: Ensure that your travel bags are strong with zips and locks in working condition to avoid any last minute panic. Always remember to place your name, address and number notes/tags on your bags in case they get misplaced. Credit Cards/International Banking Facilities: Ensure that your credit cards/ banking facilities are enabled for international transactions. This keeps you safe on cash while travelling. Documents: Ensure that your passport has marginal validity for use along with the number of pages available for stamping. Most countries demand minimum 6month validity for passport while traveling abroad. Alternatively, keep your travel insurances; government ID’s handy for domestic travel. REMEMBER TO KEEP A XEROX OF THESE DOCUMENTS ALONG WITH 3 PASSPORT SIZE PHOTOS IN YOUR TRAVEL BAGS. Seasonal Clothes: In case you take frequent trips to cold places/ business trips/ religious trips, ensure that you have suitable clothing (formals/warm clothes/ dupattas) dry-cleaned and packed. Don’t forget, a pair of spare footwear. It’ll be a savior on days you won’t even realize. How often have you forgotten your toothbrush or towels while on a trip? Staying prepped for such situations is the best that you can help yourself. Pack your toiletries, sanitary napkins, tissues, towels, and extra poly bags in your travel bag way before your trip. I repeat, pack this before, especially when not traveling. Packing last minute could end you up with a few missing items. PRO TIP: A PAPER LIST OF ESSENTIALS WILL ALWAYS ALWAYS ALWAYS COME HANDY! Stop cribbing over expensive tickets! Keep a regular check on holiday sales, ticket prices. You might be in for a big surprise! Use multiple ticketing applications, make use of your loyalty points through credit cards and other memberships, and check Booking.com and AirBnB for properties of your choice. You’re mostly like to stumble upon steal deals and bargain prices 3 out of 5 times! You got to take this seriously! We all know that Euros and USDs rule the world while travelling. Their fluctuations can cause major heartburns to your trip. It’s always a smart move to invest in foreign currency while their prices are low. For instance, last December (i.e. 5months ago) 1 Euro was equivalent to approx. 71INR, in March 2016 it went up to 77INR and is currently valued at 75INR. Investing in forex in December could’ve definitely given me a greater saving margin. I’d endorse this point especially today because of recent events in France, Belgium, and Turkey. Not just terror strikes, but also new foreign policies could be important while planning/executing your trips abroad or even your domestic trips. It makes you more relevant to your surroundings. Whether you love camping or adventure sports or photography, don’t forget to stock up your equipment way before your trip. It gives you access to better options, pricing and experience with the equipment as compared to last minute shopping and surges. 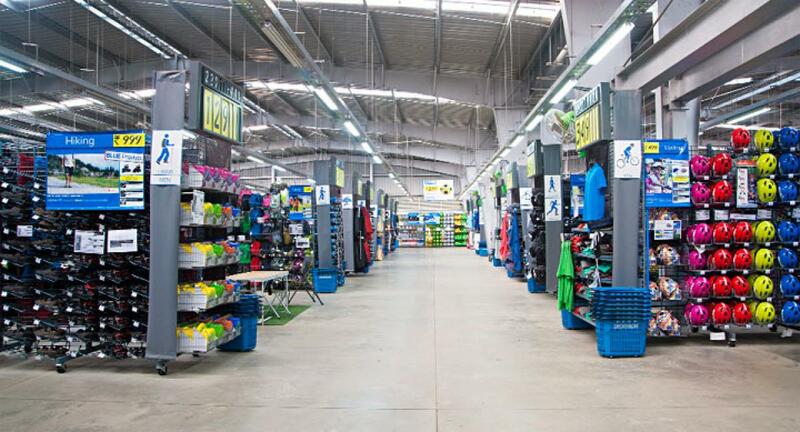 Wholesale stores like Decathlon have made their presence for the very purposes. Also carry spare batteries, memory cards, and universal charges for your trip. This is quite a handy prep for your trip when not traveling. Especially if you’re taking your first trip to the decided destination, a travel guide, vlog, video will give you an idea of the place and it’s culture. You will know what to see and what norms to follow. Shows that focus beyond beauty and look into personal experiences and tips from travelers are the most useful. Rick Steves’ Europe and Attaché Travel are my favorite Travel Video Channels. You can also read blogs, Lonely Planet, DK Eyewitness city guides. You can also read up forums like Tripadvisor for reviews when not traveling. Remember, experiences are more important than pictures. These travel hacks before/between your trips will make your immediate pre-travel phase extremely easy and will give you time for other more important things.